Roaring 21 is another excellent brand that offers a variety of casino games to the US player base. There are too few online casinos that are able to provide their services to the American public, so it is always great to see a new platform that is able to do so; in a highly efficient manner at that. Stylish as well as convenient, plus relatively easy to navigate – it all comes down to having fun, and playing your favorite games, which are quite many to begin with. 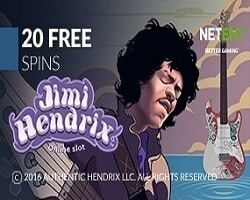 The Roaring21 casino is now fully capable of delivering all your favorite online games, and offers plenty of all time favorites, coming straight from the Real Time Gaming company, also known as RTG software. Play the games on-line, or download the entire platform and install the client on your computer, so that accessing the games can be even easier and faster than usual. The Roaring 21 casino offers a complete online gambling setup, featuring many of its classic slot machines, table games, video poker, some specialty times, and of course: progressive jackpots. A few of the new titles will include: Plentiful Treasure, Naughty or Nice II, I, Zombie, Ancient Gods, Panda’s Gold, Scuba Fishing, Banana Jones, Gods of Nature, Stardust, Secret Jungle, Lucha Libre 2, and Three Kingdoms War. Those who find themselves lacking a bit of incentive, can always look forward to additional funds and bonus chips, which can be acquired through the casino’s own rewards program. The Roaring21 program is open exclusively to a particular audience, and only adult clients, aged 21 or older, can successfully register with this gambling service. Fair gaming is always guaranteed here, but so are the online transfers, because you can always rely on making withdrawals and deposits with preferred methods like debit or credit cards, which include Visa, MasterCard, as well as the bitcoin cryptocurrency.